Hailing from New Jersey, John Sparkz is a 23-year old Mixing & Mastering engineer with expertise in the industry for 7+ years. 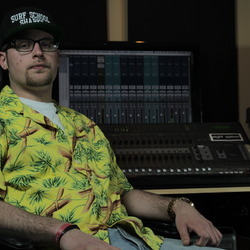 That experience paired with a Master Certificate from Berklee College of Music and two Avid Pro Tools Certificates makes John Sparkz a safe bet for quality engineering that many artists strive for. PCM Native Reverb Plug-in Bundle "There really is never a mix up that I'm not using a Lexicon reverb on, preferably the Vintage Plate or Dark Hall"